Branding and marketing Tune-up’s are important in todays dynamic and multifaceted marketing programs. Does your company need a branding and marketing tune-up? The connection between your company, its brand and your consumer audience is critical to your success. Like a wise owl, do you know who your consumer is? How you are reaching them? How your consumer connects and interacts with your business? Do you know the DNA of your brand? Are your event marketing strategies effective? Operationally are you maximizing the impact of your whole organization as they interact with your clients and customers? How do your social media marketing programs align and connect with your audience? Are you activating each time you develop a campaign, and how do you do that? Are you asking what is the purpose of your brand and marketing efforts in todays multi channel world? How can my brand better align with the clients I serve to keep them loyal and not disappoint? 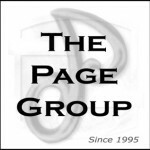 At The Page Group we talk about developing a Brand Silo which identifies how your consumer audience connects with and interacts with your business. Within that silo we hold the Brands DNA, its keywords, its brand statements, and its premise. With those in place we then go about working with all departments within the company who connect directly, or indirectly, with the consumer to be assured that they live and breathe your brands DNA and communicate it clearly in all interactions with your core consumer audience. This beautiful rescued 12 year old Screech Owl is courtesy of the Bird Sanctuary of OC.